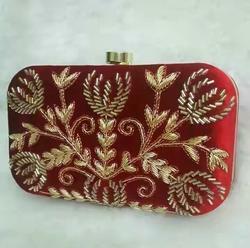 These are handmade Clutches Bags (Purse) full of exclusive embroidery matching with jutties , partywear and wedding dresses.You can order minimum 6 piece in each design in assorted colors. 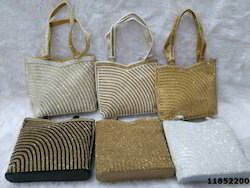 We are presenting an elite range of Bridal Purses. Our experts make these products using the optimum quality input which is procured from reliable retailers of industry. Apart from this, we present these products in diverse sizes that meet on customers demand.